American Football Without Barriers is proud to announce their 5th annual camp and charity visit to take place in Helsinki, Finland, February 21st thru March 1st, 2017. The event is organized by the SAJL a Finnish government approved non-profit organization that promotes American Football and its different variations in elite and recreational playing by spreading knowledge of the game in Finland. After successful camps in China in 2013, Brazil in 2014, Turkey in 2015, and Egypt in 2016 12 top National Football League (NFL) players are heading to Finland, the first AFWB International camp in Europe. 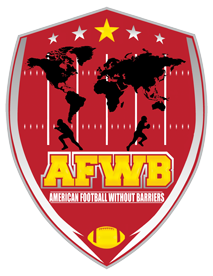 The NFL players working with AFWB are passionate about sharing their professional skills with emerging fan bases around the world and spreading their commitment to service and leadership. 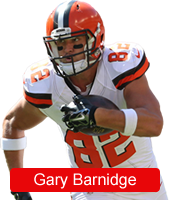 The 12 professional athletes will include All-Pro Tight Ends Gary Barnidge and Jordan Cameron, Super Bowl Champion Breno Giacomini, and All-Pro Running Back DeAngelo Williams. Over the course of the week they will teach on-field technical skill building and leadership to Youth, Women, and Men that are part of SAJL. The players will also hold a Coaches Clinic with in-class instruction and on-field implementation. As part of their global goodwill tour, the players have designated two days of community outreach and will be visiting various non-profits in and around Finland. 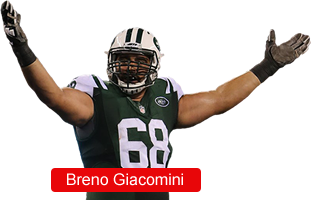 The NFL players will be hosted locally by SAJL, the International Federation of American Football (IFAF) recognized governing body of American Football in Finland, and the organizers of the Finland Mens and Womens National Team. SAJL currently has 39 Member Clubs with over 3000 players, and is actively engaged in growing American Football among the Finnish Men, Women, and Youth. They have National Teams for men, women, under 19, under 17, and under 15. Since 2000 annual American Football numbers have tripled (annual growth approximately 12%) and SAJL has been a member of the Finish Olympic committee since 2014. Media interested in attending any portion of the camp or charity events should make arranges through Todd Buelow, AFWB Board of Director Member (contact below). American Football Association of Finland was founded in 1979. Our mission is to organize and promote American football and its different variations elite and recreational playing by spreading knowledge of the game in Finland together with our quality member clubs as well as being active participant in international American football bodies. Currently SAJL has 39 member clubs and 3300 license participants in men’s and women’s leagues as well as in six different youth categories.